Our Philosophy is based on seven principles, allowing at all times freewill of interpretation. Our Philosophy is based on seven principles, allowing at all times freewill of interpretation. These are principles and not commandments, for we have no fixed creed or dogma. 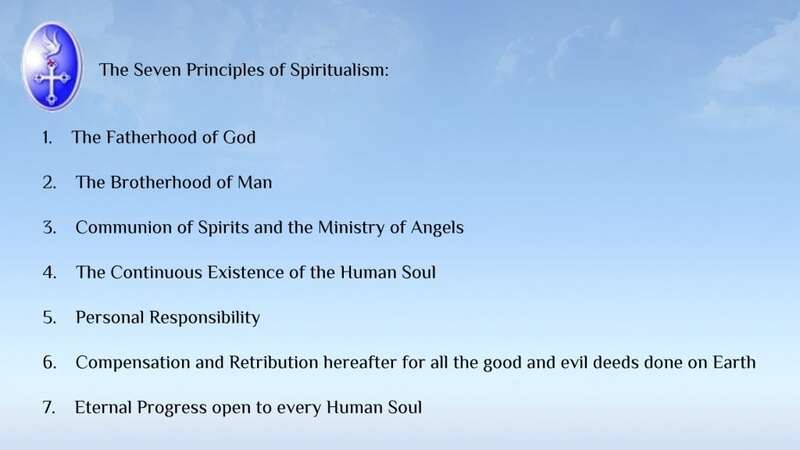 These are principles and not commandments, for we have no fixed creed or dogma. We consider Spiritualism a universal way of life, which embraces all beliefs and origins.